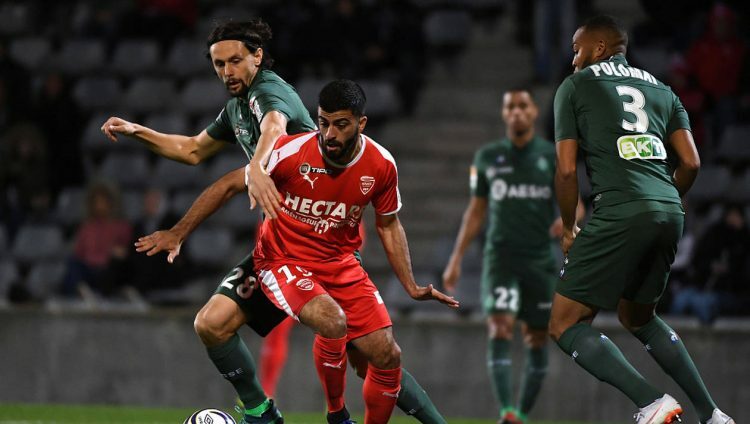 In a confrontation that was originally scheduled for Sunday, March 31, but postponed to Monday, April 1, St. Etienne hosts the Nimes. The game is part of the schedule of the thirtieth round to the French Championship version 2018/2019. It will be held at the Geoffroy-Guichard stadium in Saint-Étienne. The kick-off is scheduled for 15:30 (Brasília time). Although some clubs still have some games that have been postponed to meet, Ligue 1 has nine full days to be fulfilled. She leads champion and vice directly to the group stage of the Champions League 2019/2020 version. The third-placed can also get there, but for that he has to go through the qualifying round. Only those who are in fourth place have a place in the Europa League. With 46 points (13 wins, seven draws and nine defeats), St. Etienne still wants to win the 2019/2020 Europa League. They started the Ligue 1 number 30 race in fifth place, just one point behind Olympique de Marseille, who would face Angers on Saturday, March 30, closing the qualifying zone for the tournament.However, the Reims, sixth place, has the same score of the alvverde, taking a disadvantage only when the tiebreaker criteria are used. Their thirtieth round meeting was moved to Wednesday, April 3. He will face Strasbourg in the rival’s home.St. Etienne has been a lot better in this fight. He had as main promoter his campaign as client. However, three home defeats in the last four games have plummeted in the overall ranking and also in the ranking of home owners, where after being the deputy leader came to appear as fifth place. Of the 42 points played in his stadium, he scored 29 (nine wins, two draws and three losses) having scored 24 goals and suffered 12.In an attempt to get the team back on track, coach Jean-Louis Gasset will have to manage a relatively large number of casualties. Midfielder Wahbi Khazri (25 matches in the 2018/2019 version of the French Championship, 12 goals), suspended, can not play against Nimes. They are in the care of the medical department the defender Moisés (19 games, without goal); midfielders Loic Perrin (23 games, one goal) and Yannis Salibur (18 games, one goal); and attackers Lois Diony (26 games, five goals) and Kevin Monnet-Paquet (23 games, one goal). Get more free soccer predictions ! 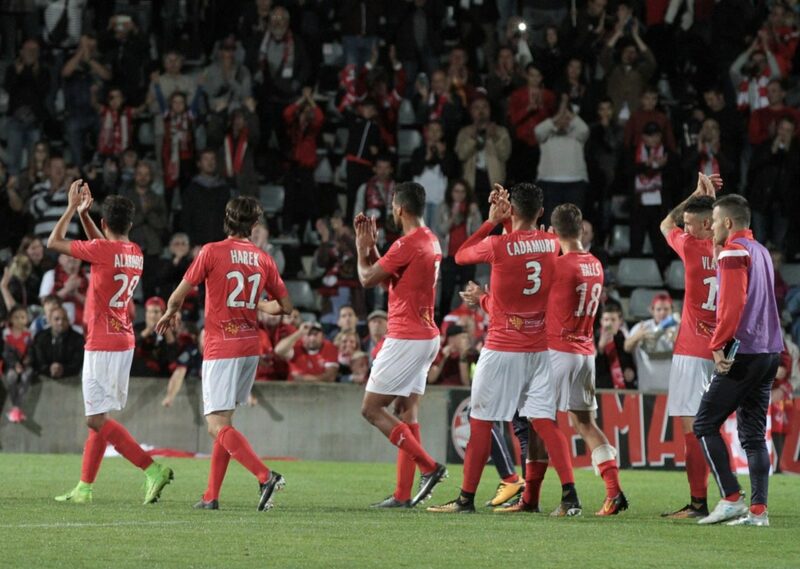 Nimes has already settled its life in the French Championship. With 37 points (ten wins, seven draws and 11 losses) he is comfortably installed in eleventh position on the leaderboard. The guarantee of permanence in the elite division, which was their great goal, led to the slowdown. In the last three days, the team added just one point (one tie and two losses).As a visitor, however, it has even better numbers. He is the eighth best in the Ligue 1 ranking. Of the 42 points he played away from home, he returned home with 17 (five wins, two draws and seven losses) having scored 20 goals and conceded 27.The medical problems for Monday’s match are midfielder Mustapha Diallo (seven games in the French 2018/2019 version without a goal) and striker Clement Depres (17 matches, four goals). 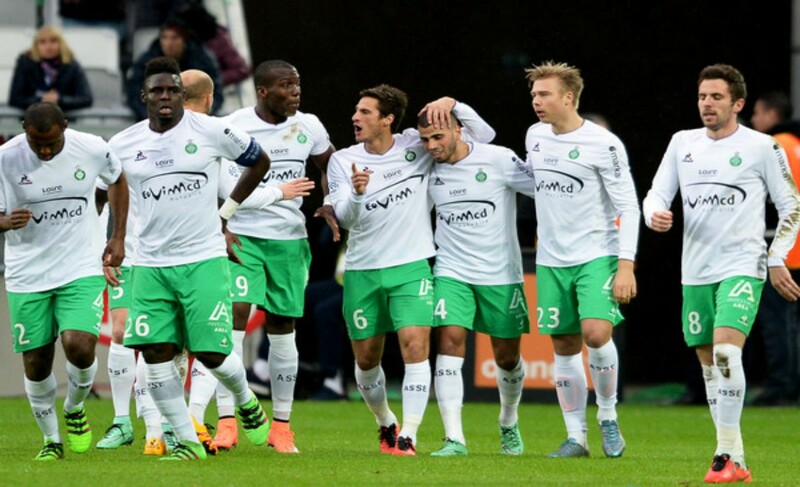 St. Etienne is 5th in Ligue 1, with 46 points after 29 matches played. It is the first under the line of European Cups, with a point below Marseille and 7 under Lyon. With 41 goals scored and 34 goals scored, the team has a mediocre balance. He has two defeats in the last 3 matches and does not go through the best season.On his own field, however, he only succumbed 3 times in this championship, where he gathered 29 points out of 42 possible. Even so, it comes after 2 consecutive defeats at home, with a total of 24 goals scored and 12 received. Nimes is 11th in Ligue 1, with 37 points after 28 games played. He has 40 goals scored and 42 received, so we notice that he has both a weaker attack than Sunday’s opponent and a weaker defense. It comes after 3 consecutive games without victory, draw in one draw and lost 2.He won 5 and lost 7 away games in this Ligue 1 edition, where he gathered 17 points out of a total of 42 possible. With 20 goals scored and no less than 27 received, the team comes after two lost games in a row. Drawn in 2 rows in the matches on this season’s foreign pitch. We are talking about two teams that have scored a lot this season, of course, provided we exclude any comparison with the PSG, which has an attack coming from “another world.” Moreover, both have rather fragile defenses. Hosts need victory to catch places in Europe, while guests will play without any pressure as they are almost out of any calculation. Therefore, we have all the premises of a spectacular match, so I expect at least 2.5 goals scored.